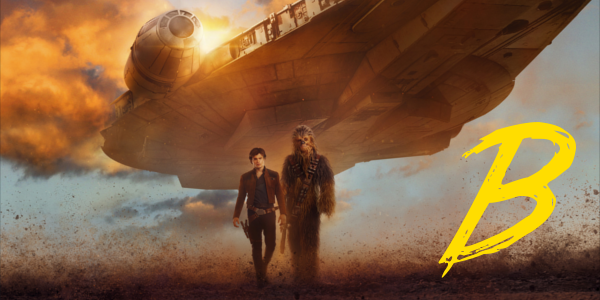 There hardly needs to be a reason to be excited for a new Star Wars film, but with Solo: A Star Wars Story, there were plenty of reasons to be a bit apprehensive. Luckily, despite having to reshoot nearly 70% of the film, director Ron Howard, who took over in the eleventh hour, seems to have righted the ship. With an undoubtedly uphill battle regardless, the newest entry in the long running franchise looks to squash those apprehensive of its mere existence. Han Solo (Alden Ehrenreich) finds adventure when he joins a gang of galactic smugglers, including a 196-year-old Wookie named Chewbacca. Indebted to the gangster Dryden Vos (Paul Bettany), the crew devises a daring plan to travel to the mining planet Kessel to steal a batch of valuable coaxium. In need of a fast ship, Solo meets Lando Calrissian (Donald Glover), the suave owner of the perfect vessel for the dangerous mission -- the Millennium Falcon. Perhaps thankfully, the film does not look to overcomplicate the narrative with deep connections or a huge plot driven story, instead the focus turns to making this an adventure worth taking, one that’s incredibly satisfying and fun mind you. It’s a story that allows the characters to shine as they move forward as individuals as well. Much of this has to do with placing them in an environment and a set-up that is designed for character moments and exhilarating action, and that’s all it strives to be, simple and safe. Of the concerns present prior to release, none were louder than those surrounding the look of Alden Ehrenreich, not his acting ability, but his physical similarities to Harrison Ford. Fortunately, Ehrenreich manages to nail the tone and mannerisms of Han Solo mixed with some young naivety. He is fairly good in the role, not exceptional or anything, leading the film on the adventure it clearly wants to go on. The same cannot be said for EmiliaClarke, who delivers a decent performance but lacks the material to make Qi’ra anything more than a cookie-cutter love interest. By far the standout though, amidst an array of good performances, is Donald Glover. Matching the charisma and demeanor of what a younger version of Lando would’ve been. He really does a lot to create some excitement for that potential Lando movie that was brought up not too long ago. His interactions with Han and L3-37, voiced by Phoebe Waller-Bridge that continues the current streak of new and unique droids, are some of the best moments in the film. The biggest question after two hours of Star Wars goodness becomes: how much better could this film have been? Ron Howard has clearly come in and balanced the humor out more so than what it was reported to be, but it also makes one wonder what could’ve been had he been helming it from the start. There is still plenty of comedy amongst the action and adventure that make the film what it is, and despite the reshoots, flows with a good pace and tone throughout. Not to mention, the action is fun and inventive, whether its seeing the Falcon flying around, Han and Chewy fighting side by side, or even their heists coming to fruition, every set piece is different and exciting. 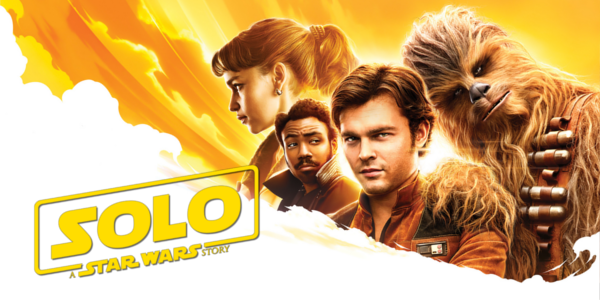 Overall, Solo: A Star Wars Story isn’t groundbreaking or exceptional in any way, but then again it never needed to be. The ability to exist outside of the overarching narrative of saga films gives it more room be a fun action-adventure with characters that audiences know and love. The performances are all good at minimum, with a charming turn from Donald Glover as Lando standing out the most. It is not a perfect film, but it is a great time at the theater and a return to a lighter Star Wars, and really what more could you want from a solo Solo film?